Your students can learn firsthand about metamorphosis and the different life cycle stages of insects by observing ladybugs at this research center designed for online / blended learning with Google Classroom. ​Elementary students will discover metamorphosis and the life cycle stages of ladybugs with this research center and a live ladybug terrarium kit. 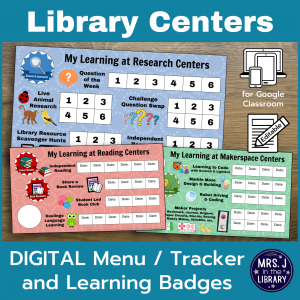 This is the DIGITAL version of the center, designed for use with Google Classroom or other online learning management systems. Each student receives a Research Notebooks that they "turn in" digitally for feedback and assessment. Video read-aloud directions linked in Google Doc and in .mp4 file format for students to review the center directions or catch up if they were absent. PDF files are also included for use with Canvas, Schoology, or other learning management systems. Any of the Research Notebooks can be used with students in various grades or at different ability levels to differentiate your instruction. ​Includes citation examples for books/ebooks, databases, and other general websites using MyBib.com. ​Reflection and notes space for improvements to make next time. Video directions for setting up your center and grading student work in Google Classroom. 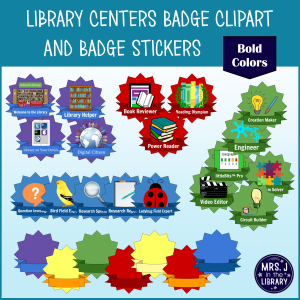 Teacher Notes with more resources and information to help you set up and use the library center in a new or existing library centers structure. ​You will need access to books, ebooks, and/or online websites about ladybugs for students to complete their research. I have included ​both print books and online databases in the bibliography section of the Research Notebooks, but ​a collection of reliable websites would also suffice depending on your students’ needs and research skills level. ​Still not sure? Try before you buy! ​You can also purchase this product in my Teachers Pay Teachers store.